When the Shaking Begins, Where Will You Be? | Lift Jesus' Cross! ← How Will I Know What to Do in the Last Days? 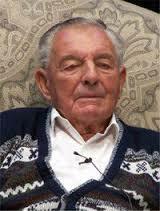 I was privileged to hear Arthur Burt in the 1990’s, who was in his 80’s at the time. Arthur is from Wales and he often refers to the glory of God that the church, if she stays humble, will experience in the last days. I’ll never forget Arthur saying this statement over and over again: “When the shaking begins, the best place to be is in the shaker!” If God is shaking things up in the last days, it is safer to be inside the shaker! So what does this mean? It means we must practice the abiding presence of God. To dwell inside “The Shaker” means we are in Him, we know what he’s thinking, we are already pointed in the right direction before there is an emergency, before a crisis, before a weather catastrophe, or a spiritual shaking. 25 See to it that you do not refuse Him who is speaking. For if those did not escape when they refused him who warned them on earth, much less will we escape who turn away from Him who warns from heaven. 26 And His voice shook the earth then, but now He has promised, saying, “Yet once more I will shake not only the earth, but also the heaven.” 27 This expression, “Yet once more,” denotes the removing of those things which can be shaken, as of created things, so that those things which cannot be shaken may remain.28 Therefore, since we receive a kingdom which cannot be shaken, let us show gratitude, by which we may offer to God an acceptable service with reverence and awe; 29 for our God is a consuming fire. We are about to receive a kingdom which cannot be shaken. But first, God has made it plain that he will shake the earth and even the heavens. Anything that can be shaken will fall away. Anything that cannot be shaken, will remain. In short, the best place we can be is inside “The Shaker.” We’ll talk more about living inside “The Shaker” next time. This entry was posted in Prepare for Emergencies and tagged Arthur Burt, emergency preparedness, Hebrews 12, in the shaker, last days, prepare for disaster, prepare for emergencies, shaker. Bookmark the permalink. 4 Responses to When the Shaking Begins, Where Will You Be? Thank God for His kingdom. When tribulation comes, and it will, the best place to be is in the Shaker. And when THE Tribulation comes, we’ll be with Him and His unshakeable heaven. I’m so eager to keep going on this theme of preparing for the last days! I keep looking at the local farmers bailing hay–rectangular stacks, round stacks, fields dotted with evidence of harvest–and I ask God, what does it look like when the fields are white unto harvest for souls? How do we know when it’s ready and the great harvest of souls will be reaped before the coming of the Lord? What does GOD SEE from heaven? I wonder . . . Right now it looks like China or almost all of Africa. Both are undergoing revival. China’s has been going on for more than three decades. I think that the biggest revival will be during the Tribulation. That one will be started by the 144,000 Jews who will be preaching the Gospel of the Kingdom.